Sehr schöne Wohnung in super zentraler Lage! Gerne wieder! This lovely, three bedroom apartment is located in the coveted neighborhood of Eixample where you´ll find plenty of fantastic bars and cafés, as well as some top-notch restaurants. Gaudí´s spectacular Sagrada Familia church is located just a few blocks away on foot, and you can easily reach the other main sights of the city, thanks to a metro station located just outside the building. The apartment is also situated near the Gloriès shopping center, and the famous Passeig de Gràcia avenue is just a 10 minute walk away. The apartment has a modern and stylish décor, and there are six single beds, allowing a total of six people to sleep comfortably here. 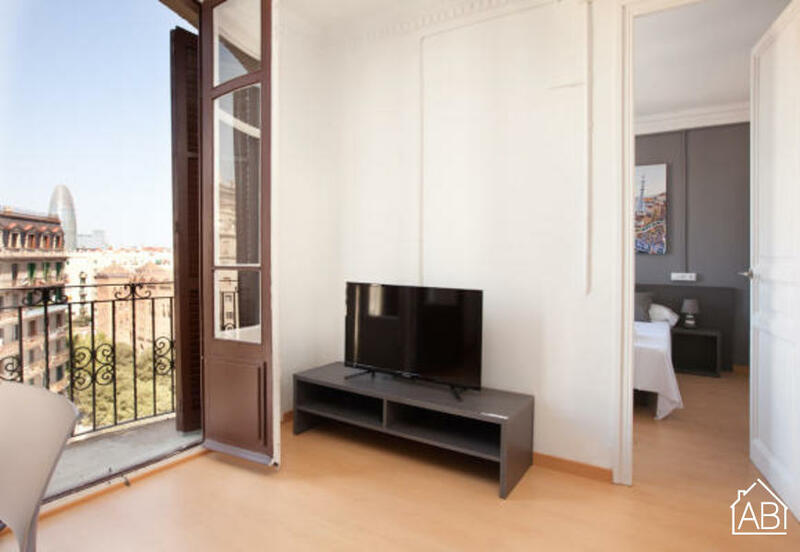 The fully equipped kitchen has everything you need to prepare your own home-cooked meals, while the living room comes complete with a TV and a large sofa, perfect for relaxing after a full day of sightseeing in the Catalan capital. An Internet connection is available in the apartment, helping you to keep in touch with friends and family back home. There are also heaters and air conditioning in the apartment, plus a dishwasher and washing machine for your convenience. What´s more, the apartment has two bathrooms, giving you that bit of extra space and privacy. With a great location, a metro station right outside and plenty of amenities, this apartment is a fantastic base for your stay in Barcelona.